Radiant floor heating is a popular choice for a reason – it’s been used for centuries! With hundreds of years of great results, it’s no surprise that most folks choose radiant floor heating. With radiant floor heating, there’s no huddling around a single heat source like a fire or a stove (not to mention the general mess associated with these heat sources). The heat radiates up through the floor – hence the name! This works for a pretty simple reason. Think about it. Where are you coldest? Your toes! Radiant heating starts from the floor up, warming your feet and then on up to the rest of your body. It’s as convenient as it is soothing. And it’s almost like magic. No noise. No bulky radiators wrecking your living room arrangement. With radiant floor heating, your body temperature and room temperature are ideal. Compare this to a forced hot air system. With this system, you get air coming in from the outside, you get higher boiler temperatures that decrease the lifespan of your system, and – to put it simply – you simply get less out of your system. Imagine a pizza stone warming up in an oven. That’s similar to how radiant floor heating works (and what makes it so efficient). A hot concrete slab beneath your floor sends warmth up through the floor boards. It is warmed by either a boiler or a geothermal pump. Now, the catch is that if it cools off considerably, then it will be a bit slow getting hot again. This is why you need to regulate the system properly. That said, you wouldn’t want a wall thermostat judging temperatures on the floor, would you? Enter the floor thermostat. These vary as to what you’re able to control, but some smarter, fuel-saving systems allow for checking the outside, ground and room temperatures, which can give you that little extra boost toward a cozy home. HVAC systems are crucial to keeping us comfortable. They circulate air and provide temperature control. What makes a great system, though? As HVAC experts, we know that it’s all in the details. Here, we lay everything out, from planning the system to putting it together to checking its ultimate performance. If you’re looking for quality, you’ll want to be sure of the following things. Check each room for heating and cooling loads. The size of a room is a big consideration when determining proper air flow. Get a duct that will bring air into the room. You’ll also need a return system that will ensure proper circulation. You’ll want to be able to satisfy those computed loads from step one. For that, you’ll need a handler that monitors the air pressure so that it stays within the requirements that it was designed for. You need to make the return and supply systems work in harmony. Balance is key to keeping pressure neutral in each room and throughout the home. Make sure you’re not losing (or gaining) any heat around your handler and register. A funky odor can ruin your hard work. Check that no car exhaust or stale attic air is getting into the air conditioning. A good seal on your ducts can help with this. Pressure gauges will help you know if your refrigerant is charged. You’ll also want to double check your burner. Grab your ACCA manuals and handbooks (or whatever guides you prefer; we’ll reference ACCA literature here) – you’ll need them for putting together and maintaining your air-conditioning system. Determine the loads and airflow in each room that you are servicing (refer to Manual J). Handbook D will be your friend when it comes to sizing up your potential duct system. You’ll want to consult Handbook S to get your practical load just right. 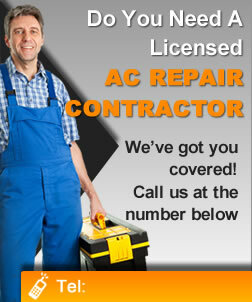 You may run into construction jams when putting together your HVAC. By laying your duct system out, you can properly anticipate potential issues given the various limitations of the space. Manufacturer’s specifications will come in handy when installing everything. As you’re going about it, make sure there’s nowhere that might leak air. Before you really turn up the heat, see to it that your furnace burner and firebox are operating correctly. Refrigerant charge comes down to properly tuning your superheat and subcooling. Measure them with care. To keep your HVAC system humming, do one last look around for leaks, as well as spacing and air flow return. Finish up with a static pressure check. Among the charming features of the United States’ older homes are their hot water heating systems. The prevalence of this rather antiquated system in older homes is a big reason why most are located in the Northeast. For folks there, it’s almost hard to imagine it any other way. They’ve gotten used to life without the drafts so often associated with forced-air systems – not to mention the odd noises, like clanking and gurgling, that go along with theirs. Hot water heating systems work like this: a central boiler, warmed by either gas or oil, heats the water. The water then makes its way throughout the house via pipes that are much smaller in diameter than your average duct. It’s sounds a bit like a water park in your walls, doesn’t it? It really would be if one of your pipes burst! Though this is a pretty scary thought, it’s unlikely to happen. One of the main reasons is the expansion tank, which accommodates extra water in the system as it expands and recedes. When it comes to maintaining your hot water heating system, you can’t necessarily do it all. There are some jobs that only a professional can handle, like a furnace tune-up. But don’t go thinking that this lets you off the hook. You are more than capable of getting your hot water heating system ready for the winter chill with a couple maintenance musts. Here are the three problem areas you need to maintain. If you don’t brush your teeth for a week, it’ll start to show in your smile. In the same way, hot water heating systems can get bogged down by sludge, which results from the build up of minerals and rust. Fortunately, de-sludging your system is easier than you might think. All you need to do is drain water from the boiler. Before you start, make sure to turn off the burner and close the water inlet valve. The water will still be piping hot at this point, so go occupy yourself for two hours or so while it cools. Once enough time has passed, it’s time to get draining. The objective here is to drain the water into a metal bucket (the bigger, the better) until it’s clear. This is accomplished by opening the drain valve and letting the water run until you get the desired result. That done, you’ll need to close up the drain valve, open the supply valve and turn the furnace on. You can usually get away with doing this about once a year. However, if you have an older system, you might need to be more vigilant. But that wasn’t so hard, was it? Guess what? You need to drain this, too. Well, maybe. If you have a newer system, that is, one with a diaphragm tank, skip to number three, because there’s no draining your diaphragm tank. If you’ve got a more elderly system (read: a tank with a drain valve and a shutoff valve), you should be draining it every year. Let’s talk about how this works for a moment. First, you’re going to want to close the shutoff valve. Next, open the drain valve and let the water run into a metal bucket. Once the tank is drained, close the drain valve and open the shutoff valve. One thing to note: if no water comes out when you open the drain valve, try opening the drain valve’s vacuum-breaker plug, if it’s got one. That will generally get the water flowing. Do make sure to close it again right after you close the drain valve. Air can get stuck inside your radiators and do awful, annoying things like stopping hot water from getting in. To fix this, you’ll need to bleed your radiators every year. Don’t worry: it’s not as gruesome as it sounds. It’s basically a process of letting out that hot air. For this, you’ll need a pan. Stick it under the bleed valve and then open the valve with either a screwdriver or radiator key (you can pick these up at most hardware stores). Keep the valve open until water starts to flow out. This is a sign that you have bled all the trapped air.